March 2, 2011 - no comments. Posted by Larz in Suckpax 1, Suckpax 2. I just bought this card on Ebay. It is so cool, I wanted it for my own collection. 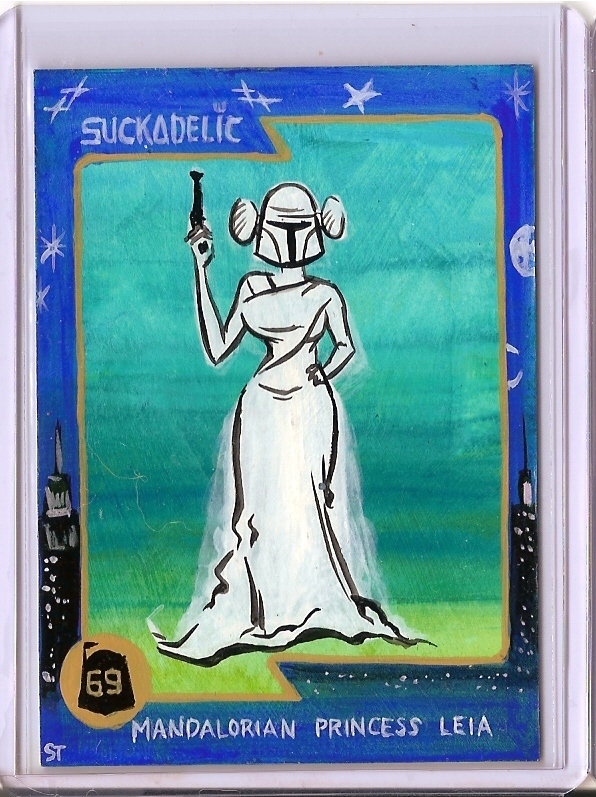 A great rendering by Scott Tolleson, of a Suckpax 1 card, done for a Suckpax 2 sketch card. A trading card moebius strip. Two great tastes blended in one. Weird looping, it literally passed through our hands here at SideKick, and now is back after passing through the packaging, shipping, buying, collecting, reselling, process. The words of Tony Montana were in my ears as I clicked the bid button on Ebay: “Don’t get high on your own supply”. Oh well.